Data management innovations provide device-neutral platforms to enhance clinical workflow and patient management. CLEVELAND, OH - May 8, 2013 – As a technology leader in devices and software for cardiology diagnosis, therapy and rehabilitation, ScottCare will unveil new advances in importing, monitoring and reviewing CIED data at this year’s Heart Rhythm Society’s Scientific Session, Heart Rhythm 2013, on May 8 -10 in Denver, Colorado. ScottCare will showcase the OneViewTM CRM 4.0 software release which incorporates major workflow enhancements for importing, monitoring and reporting remote and in-clinic CIED data. The new functionality makes it easy for clinicians to select and import data from programmers, follow patients with alerts, create patient reports, and schedule patients for device interrogation. ScottCare will also launch CRMConnectTM, a new software solution that will allow healthcare institutions to seamlessly import CIED data and reports into their electronic health record (EHR) systems. 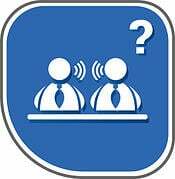 CRMConnect, a device-neutral interface, imports data from Cardiac Rhythm Management (CRM) companies’ remote monitoring platforms and in-clinic programmers, and transfers it to customer’s EHR system in an automated fashion. With CRMConnect, hospitals and clinics will have the ability to streamline their EHR integration efforts and avoid the complexity and cost associated with setting up and managing multiple interfaces with their CRM suppliers. In addition to data management technologies, Ambucor Health Solutions, a division of ScottCare, offers virtualized labor for 24/7/365 surveillance and remote interrogation for patients with cardiac implantable electronic devices. Ambucor optimizes CIED data and presents only meaningful information for patient care needs. This unique offering also facilitates scanning and reporting for Holter, Event and MCT diagnostic monitors. ScottCare develops high quality diagnostic monitoring, CRM data management, cardiopulmonary rehabilitation, and EHR data integration solutions for hospitals and cardiology practices to aid in the diagnosis and management of cardiovascular disease. 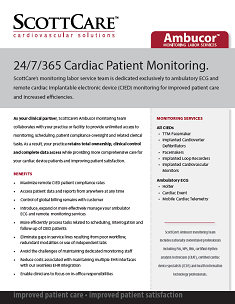 ScottCare, through its Ambucor Health Solutions division, also provides consultative and contracted Ambulatory Electrocardiographic and Remote Device Monitoring services for cardiologists and hospitals. Based in Cleveland, Ohio, ScottCare is a subsidiary of The Scott Fetzer Company, a diversified manufacturer and marketer of high quality products for the home, family, and industry comprised of more than 20 businesses. Visit ScottCare on the web: http://www.scottcare.com.